This is vanilla flavor of La Yogurt Probiotic that my husband bought. The other one was Mint with Dark Chocolate Chips. Like the mint flavor, it also contains dark chocolate chips. To show the vanilla flavor, there're 2 sticks of vanilla on the cup. 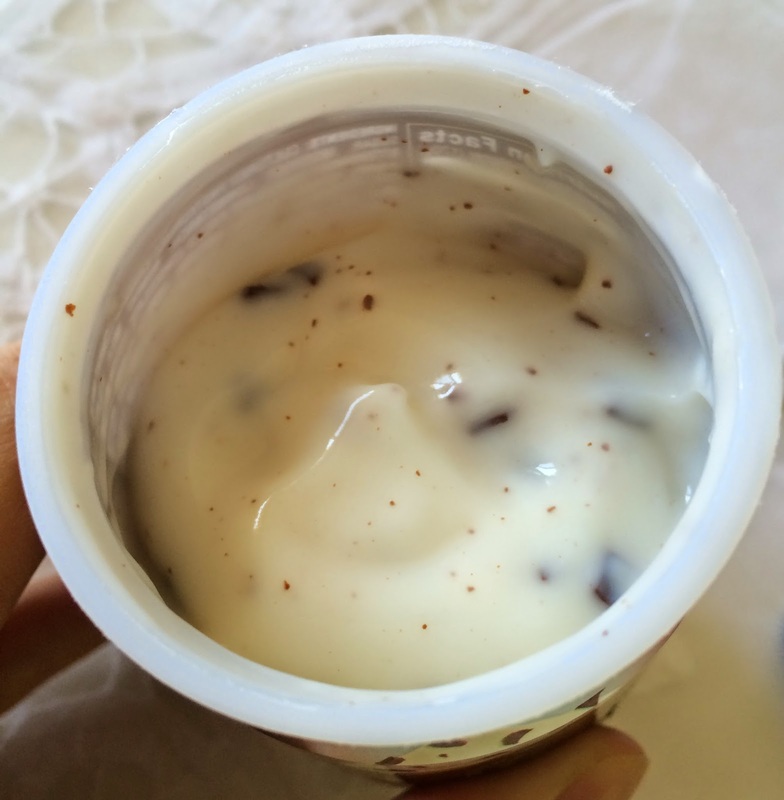 I saw many chocolate chips in the vanilla flavored yogurt. Like Mint, it was really creamy and smooth. The thickness is different from that of drained yogurt or cream cheese, but it had smooth, moist, and rich texture. 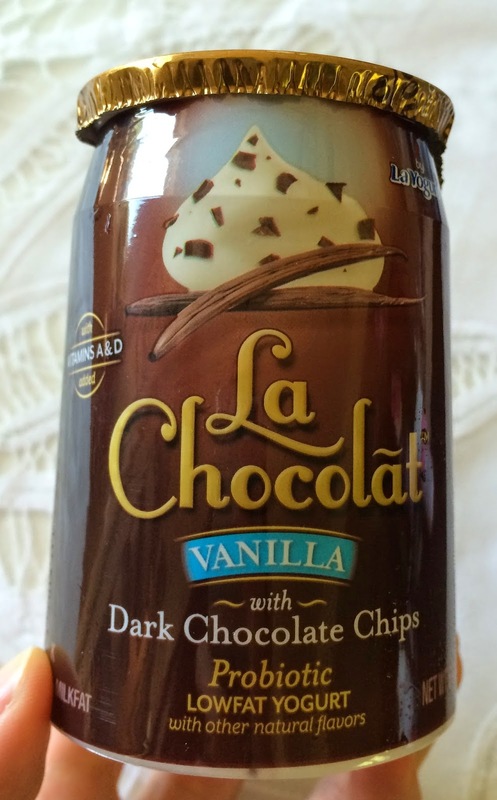 La Chocolat Probiotic series is quite tasty with lightly scented yogurt with real dark chocolate chips. 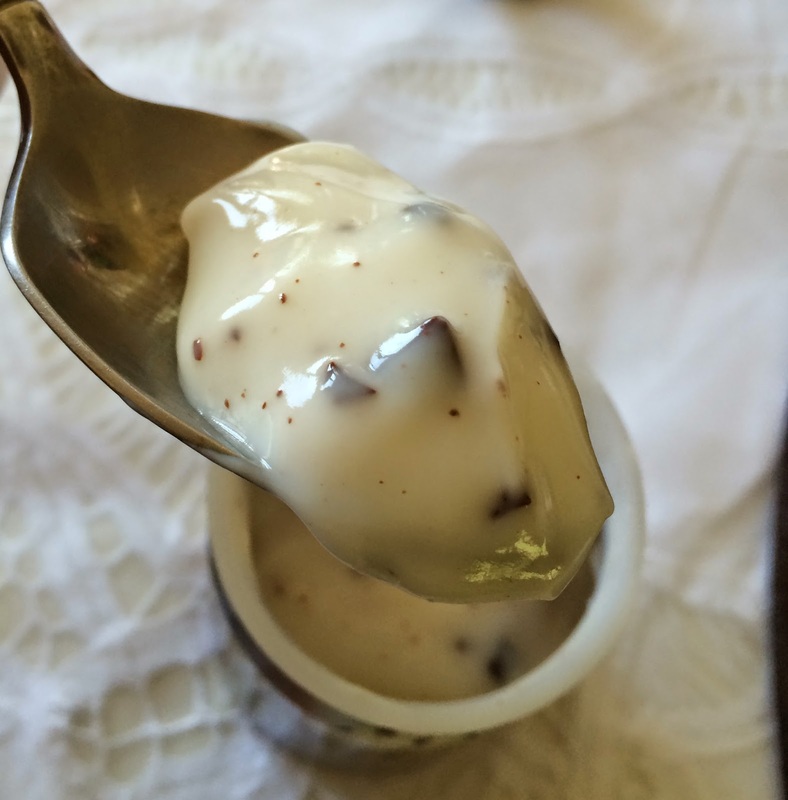 I like Greek yogurt for the distinguish texture and sour taste, but smooth and rich yogurt with fine chocolate chips became my favorite besides Greek yogurt.